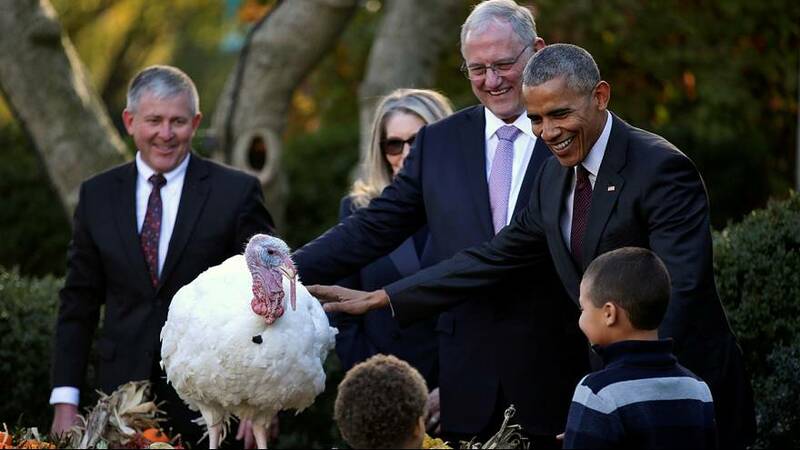 President Barack Obama got the holiday mood started at the White House on Wednesday with the traditional pardoning of the national Thanksgiving turkey. The lighthearted ceremony in the building’s Rose Garden, filled with Presidential puns, featured Iowa-raised turkeys Tater and Tot. The White House asked people on Twitter to vote for which turkey will receive the pardon, though both typically get a reprieve. While only one can be named the “National Thanksgiving Turkey”, the White House said that both birds will be sent to their new home at Virginia Tech’s “Gobblers Rest” where they will be cared for by veterinarians and students.